GSTC-Recognized Standards are sustainable tourism standards that adhere to and are equivalent to the GSTC Criteria. GSTC-Recognized means that a sustainable tourism standard has been reviewed by GSTC technical experts and the GSTC Accreditation Panel, and deemed equivalent to the GSTC Criteria for sustainable tourism and is administered by a standard owner that meets GSTC requirements. This means that the GSTC has verified that the standard aligns with the GSTC Criteria and that any additional clauses do not contradict GSTC Criteria requirements. GSTC Recognition does not ensure that the certification process is reliable, only that the set of standards used to certify includes the minimum elements to ensure sustainability. A Certifying Body that utilizes a GSTC-Recognized standard may apply for GSTC-Accreditation which relates to the quality and neutrality of their certification process. 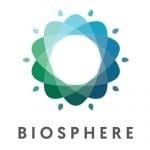 Biosphere Responsible Tourism is an independent organization and its purpose is implementing actions and programs of sustainable development in the touristic industry. ITR follows the recommendations of the United Nations Conference on Environment and Development (UNCED, Rio 1992), and of the guidelines from several programs of the World Tourism Organization and UNESCO about sustainable development and cultural and natural heritage protection. ITR created and developed the Responsible Tourism System (STR), which is recognized by BIOSPHERE RESPONSIBLE TOURISM label. The STR promotes the sustainable touristic activities so that responsible tourism can be a specific touristic product. The Criteria for Thailand’s Community-Based Tourism Development (CBT Thailand) has been used as an important tool for continuous planning, operating and evaluating outcome of community-based tourism development in Thailand. The criteria help to build immunity for communities to be aware of their capacity and development standpoint, so the community can strive to yield the benefits from tourism while strengthening their local resource management which is the foundation for “Sustainable Community-Based Tourism Development”. 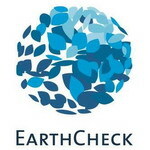 EarthCheck is an international environmental management and professional services group, which was established in 1987. EarthCheck products and services are used by all sectors of the travel and tourism industry across the world to guide their broader sustainability and corporate social responsibility initiatives. This includes guidance and advice on the design, construction and operation of tourism infrastructure. EarthCheck has access to world-leading research, science and technology, providing a strong foundation to address the challenges facing the planet. Over the past 25 years, EarthCheck has delivered tourism solutions to destination, government, business and community clients. The standards is used in the GSTC-Accredited EarthCheck Certification. The Ministry of Tourism of Ecuador and the Global Sustainable Tourism Council (GSTC) have partnered to create standards for sustainability in the travel and tourism sector throughout Ecuador. 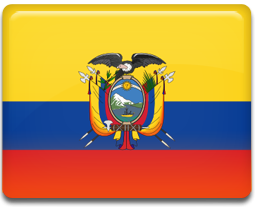 The GSTC has conferred it’s mark of “Recognition” that Ecuador Sustainability Standards for Tourism adhere to the universal standards that the GSTC has developed for sustainability in travel and tourism. “It definitely strengthens us to keep on working towards improving tourism practices in Ecuador, guided by [these] sustainable standards,” says Ecuador’s Minister of Tourism Sandra Naranjo. The Green Destinations Standard (GDS) is a comprehensive assessment & reporting system to evaluate, monitor and improve the quality and the sustainability of all destination types, e.g. towns, cities; protected areas; ecotourism, regional and country destinations. GDS is used by 250 destinations in Awards programs (incl. National Tourism Board Slovenia, QualityCoast, Sustainable Top 100, ITB Top 100 Awards) and GSTC-Accredited GD Certification. It applies criteria, management guidelines, and indicators. 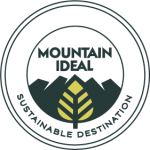 GDS supports strategic destination development, benchmarking, monitoring UN-SDG adherence, creating SWOT and project impact assessment, tourism quality profiles, and information supporting destination visibility, by Booking.com affiliate BookDifferent.com, Travelife for Tour Operators, and Viami. 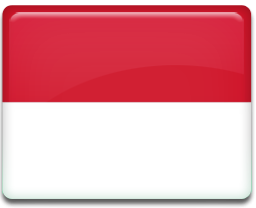 The Sustainable Tourism Destination Standard for Indonesia (STD) was developed to guide the sustainable development of tourism destinations in Indonesia. Recognizing the growing demand for travel to its many appealing destinations, the Ministry of Tourism seeks sustainable development at each of them. Innovation Norway’s Sustainable destination standard includes 45 criteria and 108 indicators to be measured, registered and monitored. The standard covers nature, culture, environment, social values, community involvement and economic viability. Measurable and continuous development are ensured through performance counts and renewing the brand every three years. 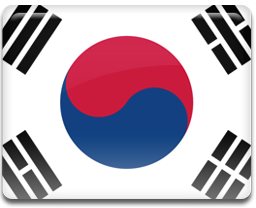 The Sustainable City Tourism Destination Standard for The Republic of Korea is designed to apply the GSTC Criteria as universal principles into the context of cities in South Korea. The Suwon City Tourism Bureau plans to apply the standards first to their own internal sustainability practices, then seek partners to apply the Standard to other cities throughout the country.